If you’ve been reading Monday Thoughts for a while, and I know most of you have, then you’ve heard me say it before — there’s always that game every season where you have that moment of clarity about who you are. This was that game. It started with the Clemson game, where we all drew the brilliant conclusion, “Clemson has better players. Virginia Tech needs better players.” That’s not wrong, but I think this game brought things into sharper focus. More on that later. This game was disheartening. Miami controlled it from start to finish, except for one brief stretch where the Hokies had a chance to turn the tide. The Canes won 28-10 and outgained Tech 429-299, but I think you’ll agree that it felt worse than that. It felt Saturday night as if the Miami program put the pedal down and pulled way ahead of Virginia Tech. 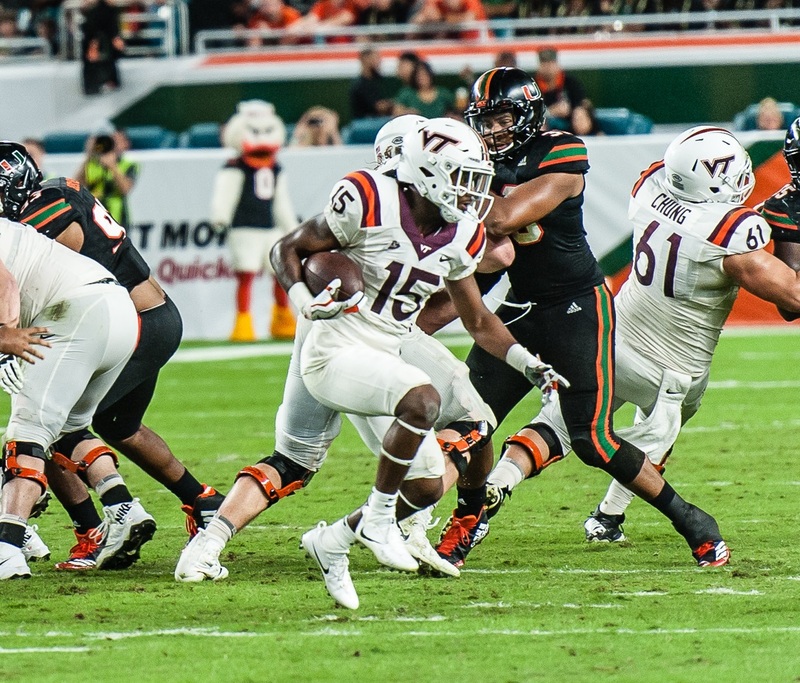 It felt that way … but it’s not as bad as it felt, in the same way that Tech’s 37-16 thrashing of Miami last year in Lane Stadium, a game the Hokies controlled from start to finish, didn’t say a thing about what would happen this year or in the future.